The Venice Hotel Pensione Seguso offers a unique and unforgettable stay in the inspirational surroundings of a 16th century building deep in the heart of Venezia’s old town historical centre. 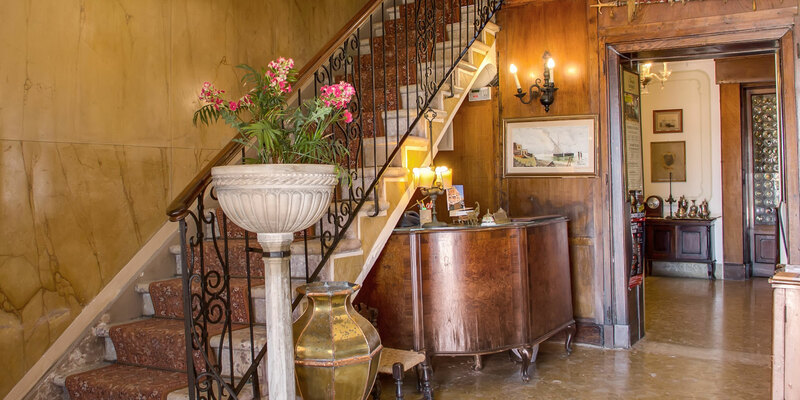 This charming 2 Star accommodation is fully decorated and furnished with 16th century antiquity while giving visitors the ideal base from which to explore the fabulous city of Venice. Just a few steps from the Gallerie dell'Accademia in the district of Dorsoduro/San Marco, the Pensione Seguso is a short walk from St Mark’s Square and Basilica – the vibrant beating heart of Venice during carnival time. Outside the hotel itself is the Pensione Seguso Mooring Station, from which guests can explore the city by Gondola via the Grand Canal. Click on the Pensione Seguso Interactive Map of Venice above to get a better idea. From Venice International Airport (Marco Polo) the Aligaluna Ferry boat leaves every hour and costs €11 per person. Get off at Zattere. The Hotel Pensione Seguso is right there on the waterfront, number 779. From Santa Lucia Railway Station or Piazzale Roma take the Vaporetto (Water Bus) Number 51 to Zattere. Alternatively, you may choose to splash out on a Water Taxi directly from the airport, which should cost no more than €80. Ask for Pensione Seguso, Zattere 779. The hotel has its own mooring station just outside the door. It is advisable to establish the price before departing.